Sometimes I feel like my craft room can be just as messy as my life. Thankfully, I was able to come up with a few ways to keep my craft room organized while crafting! It can’t get much better than that! 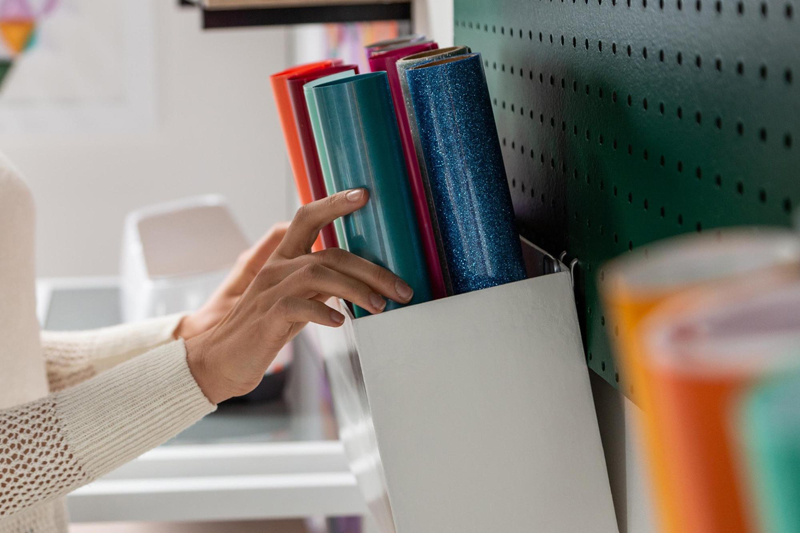 Not only does this organizer look clean and simple but it also holds up to TEN rolls of vinyl and you can easily hang it on a peg board or from a wall! How cool is that? 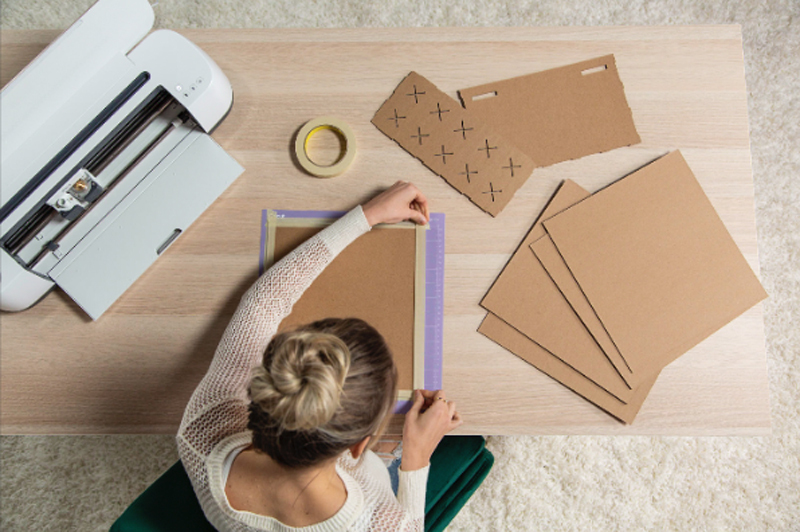 In this post, I will teach you how to create an organizational box for your vinyl or iron-on using the Cricut® Knife Blade and the Cricut® Maker. Begin by opening Cricut Design Space using this link to the project: Vinyl Organizer. 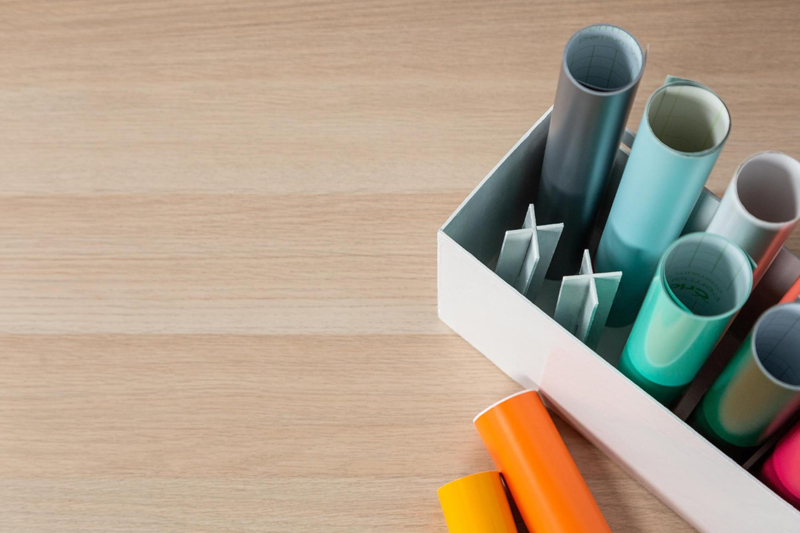 This project makes one organizer that can hold up to ten rolls of vinyl or iron-on. 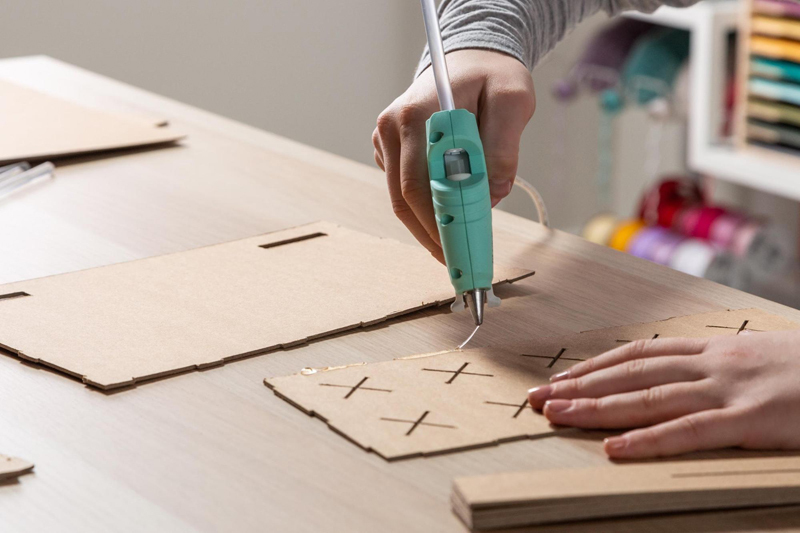 Use masking tape or painter’s tape to secure edges of the chipboard to your mat. 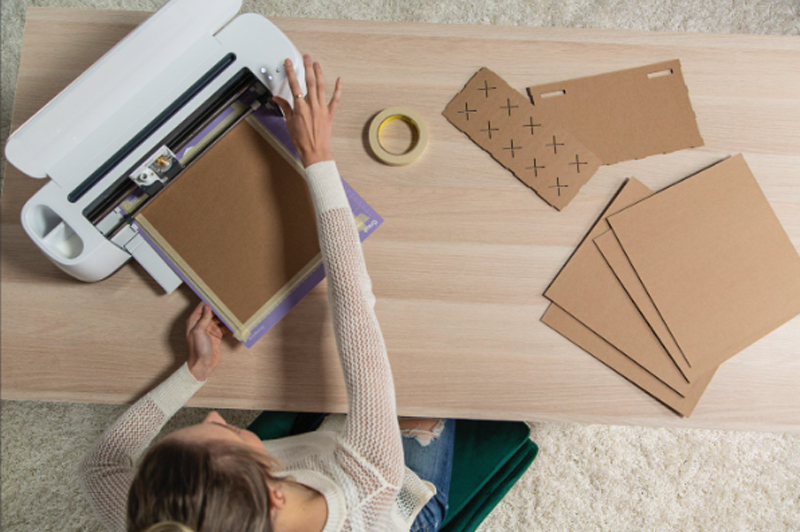 Follow the prompts in Design Space® to cut images from the chipboard, using the correct cut setting and the Knife Blade. Before removing your project from the machine, double check to make sure your project has cut all the way through and perform another cut pass if necessary before unloading the mat. 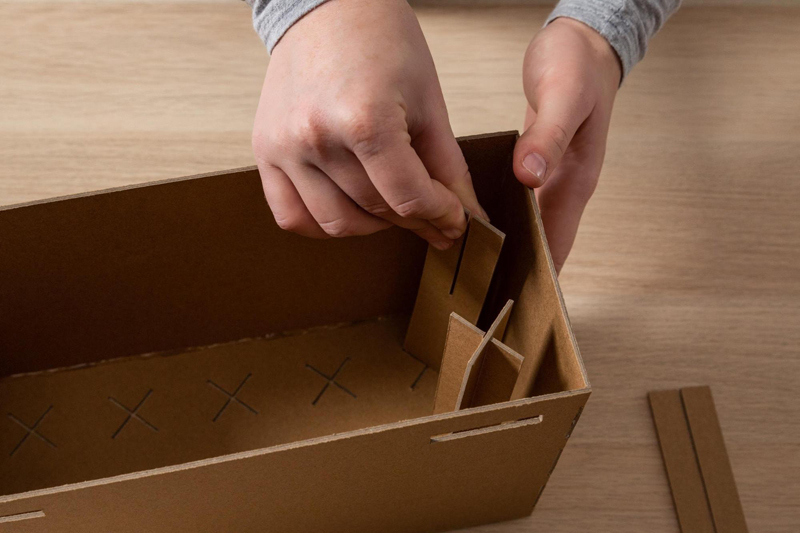 Dry fit the pieces to familiarize yourself with the construction of the organizer. Adhere the front face to the base and allow to dry. Use hot glue or white tacky glue. Adhere the sides, then the back. Hold or clamp together while the glue dries. Run a bead of glue along the inside seams for support. 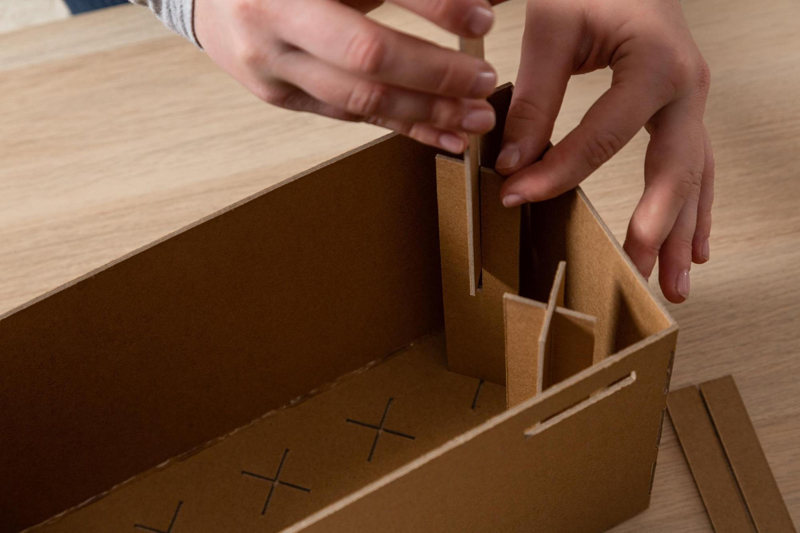 To assemble the pegs, insert the first piece into the bottom, solid side down and adhere. When dry, slide the second piece into the upward facing slit until it lines up with the cross at the bottom. 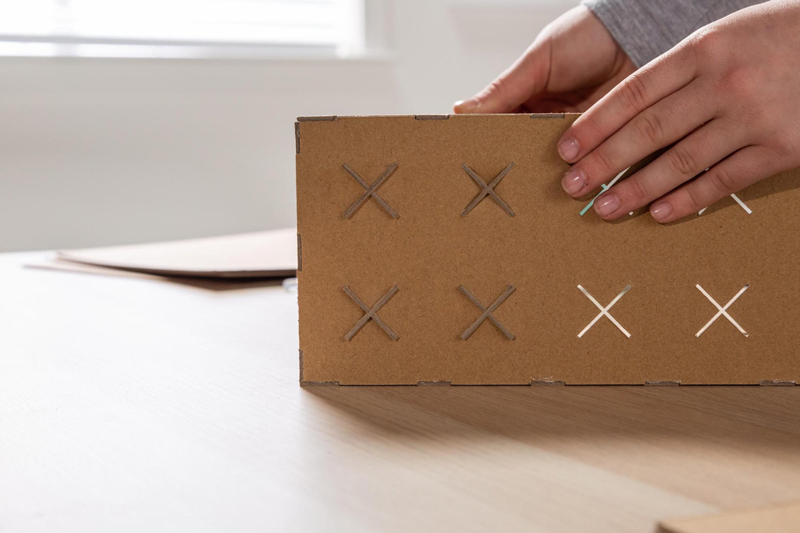 Tip the box on its side and push the peg through the cross in the bottom so it is poking out slightly. Insert the rest of the pegs and allow all glue to dry completely. Spray the chipboard with a sealer or primer and allow to dry. 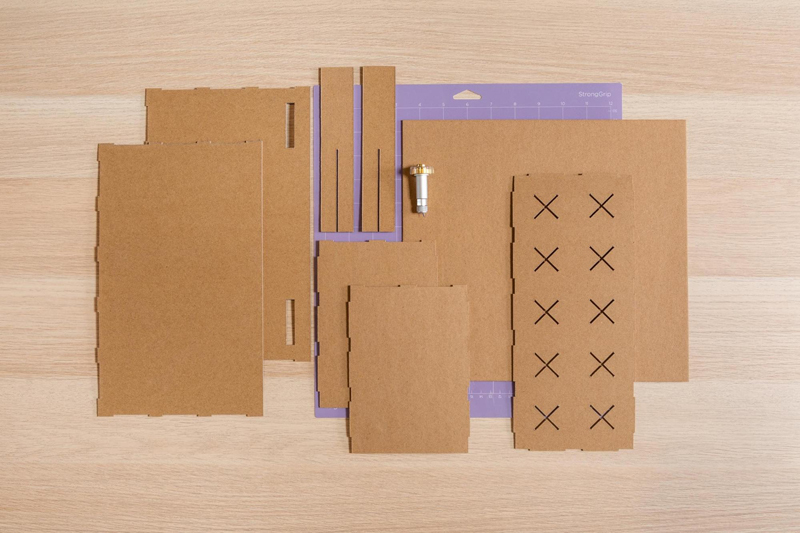 Spray paint the chipboard with your chosen color and allow to dry. For added durability, seal the paint again after drying. Once your paint is completely dried, put your favorite vinyl and iron-on rolls over the pegs and you are good to go!